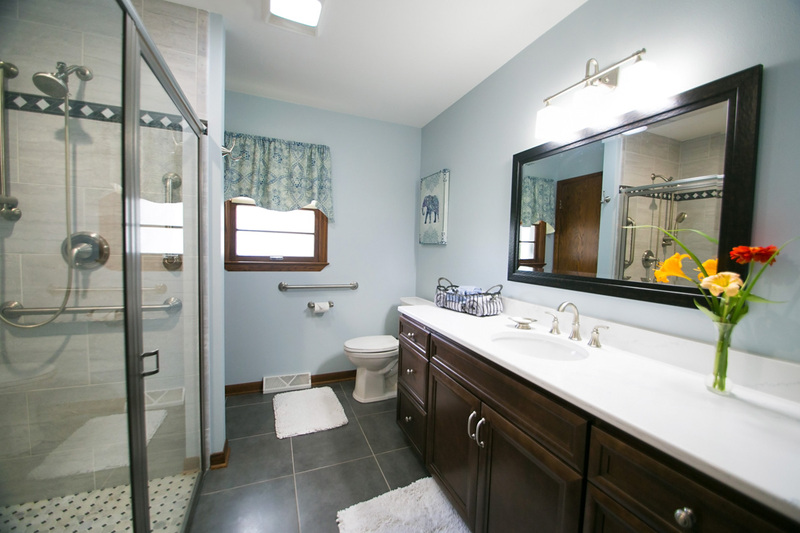 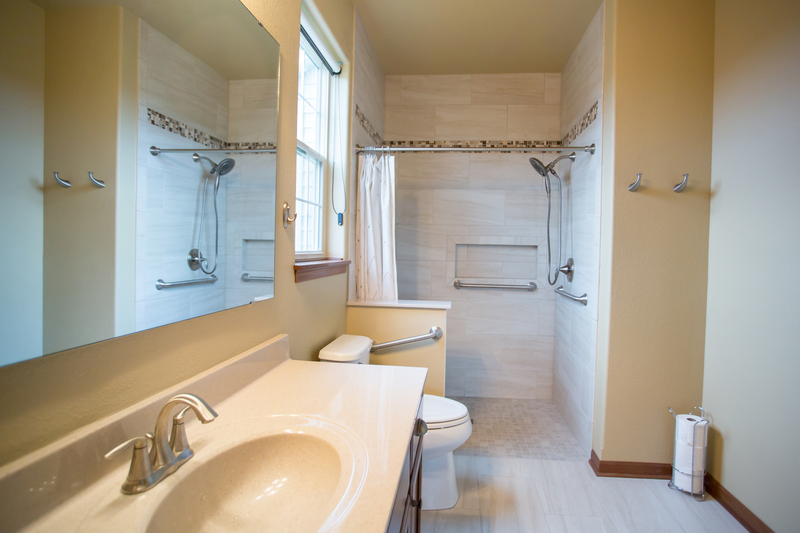 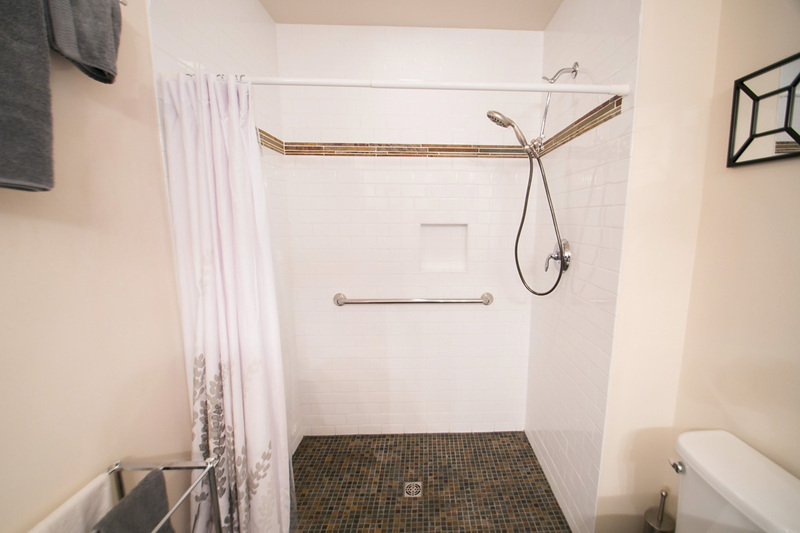 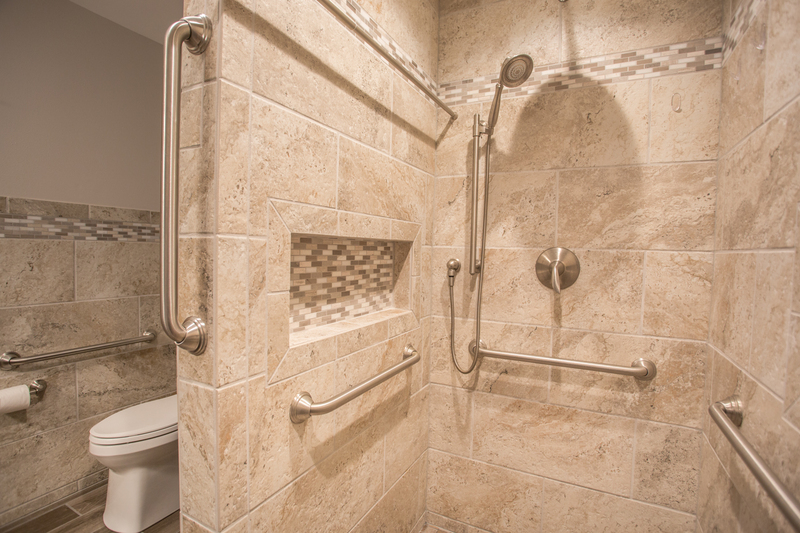 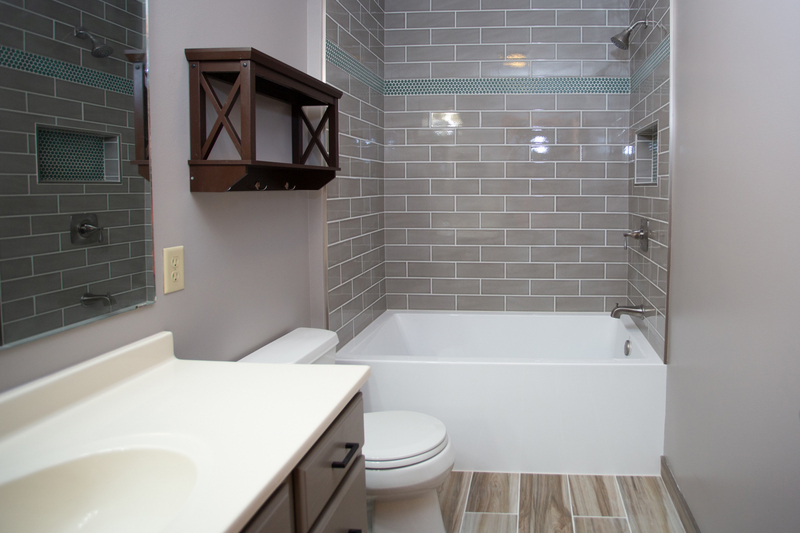 We were happy to help this long time customer design and install their new master bathroom shower and floor to be accessible. 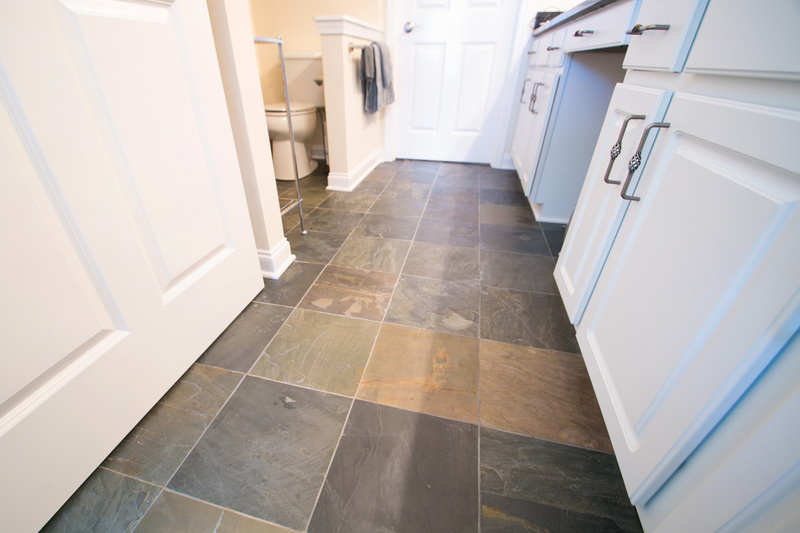 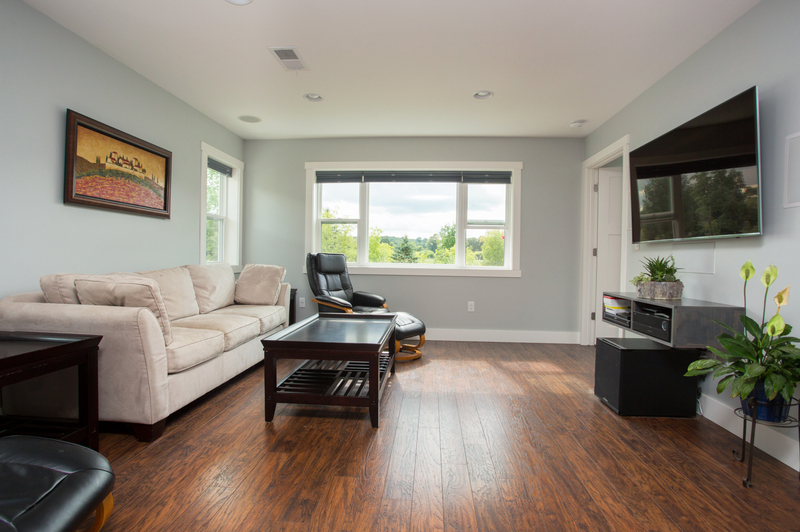 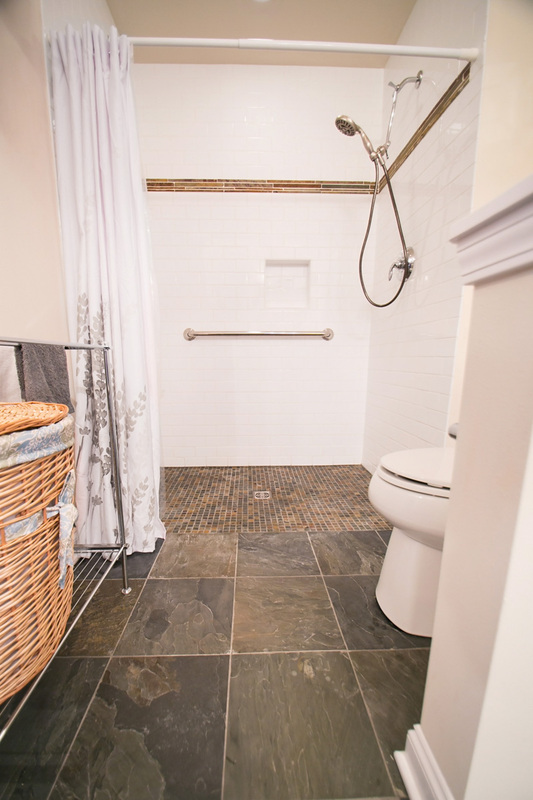 Both enjoy the outdoors and were drawn to a natural, rough slate stone for their bathroom floor that abuts the shower at the same level for a barrier free entry. 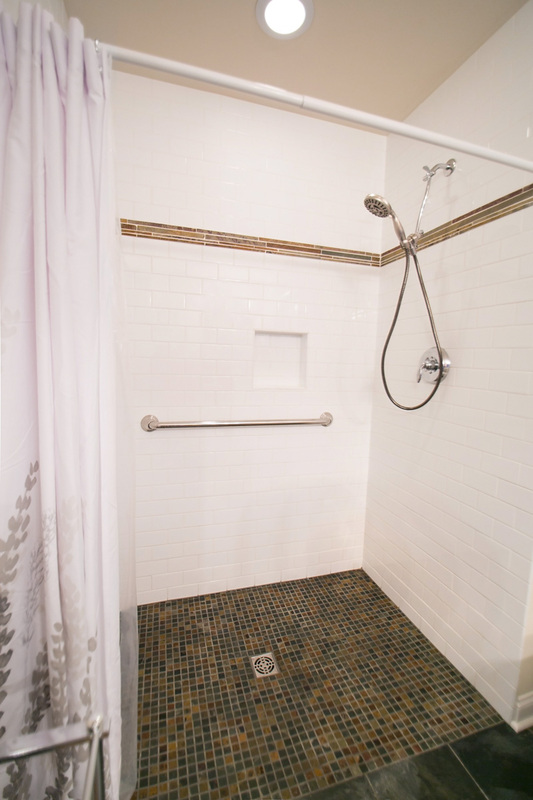 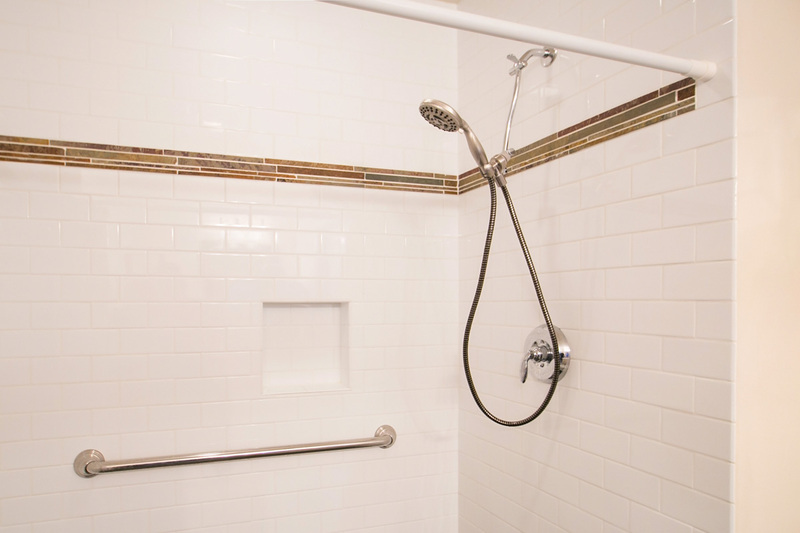 The shower walls are glossy subway tiles with a natural stone accent band while the floor is small square natural stone tile, which has excellent anti-slip properties.